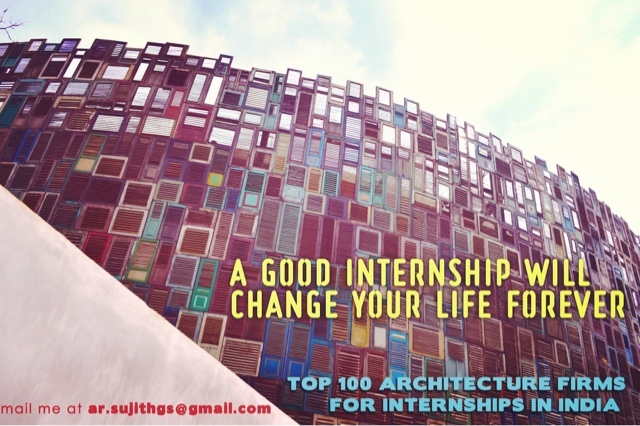 An internship is the first step in any architecture student's career and will define how his / her career will proceed. 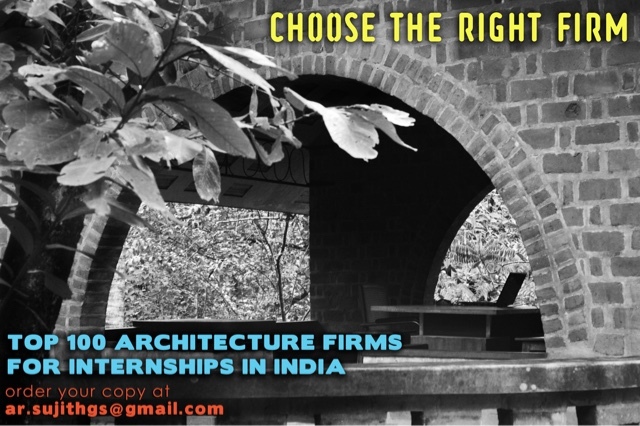 So it is very important that one gets into a really good firm for architecture internship. However, with the increased number of students there is a lot of competition for those few architecture internship positions. So give yourself that edge, order your copy of this eBook today itself. Mail me at ar.sujithgs@gmail.com. An internship is the first step in any architecture student's career and will define how his / her career will proceed. 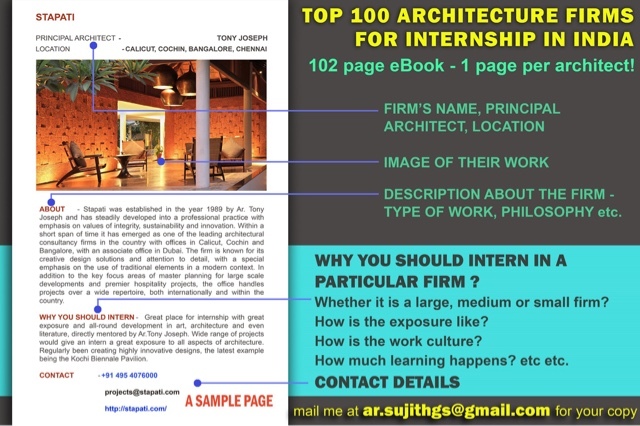 So it is very important that one gets into a really good firm for architecture internship. However, with the increased number of students there is a lot of competition for those few positions. So give yourself that edge, order your copy of this eBook today itself. Mail me at ar.sujithgs@gmail.com.